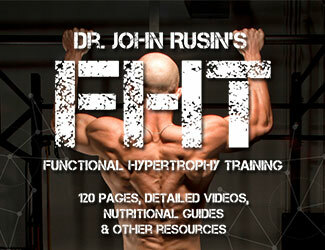 When did people become scared to train hard, go heavy and get strong? 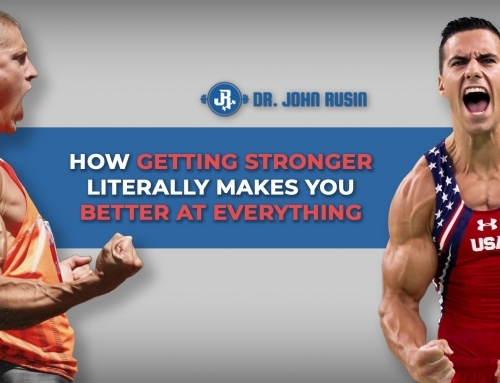 In today’s fitness industry where chronic pain and injuries have become the norm, no longer the exception, it’s time to call out one of the biggest reasons why… a simple lack of STRENGTH. And for the record, training intelligently to get strong isn’t dangerous, being inherently WEAK is dangerous. But while most people know that building strength is generally a good thing for function and physique, getting there seems to be the hardest part as traditionalist power and strength training has become notoriously associated with increased incidence of training related injuries. And there’s the problem, people attempting to train for strength, but never achieving their goal due to getting hurt in the process. As a coach who is literally managing thousands of athletes each month, I finally had that “light-bulb” moment around helping solve this problem centered on how best to get my athletes strong while keeping them healthy. And honestly, the ignition was sparked via my own personal training and programming needs as a previously banged up 36-year old recovering meathead who loves to go heavy, but also has real world obligations as a coach, husband and father and cannot afford to be injured. 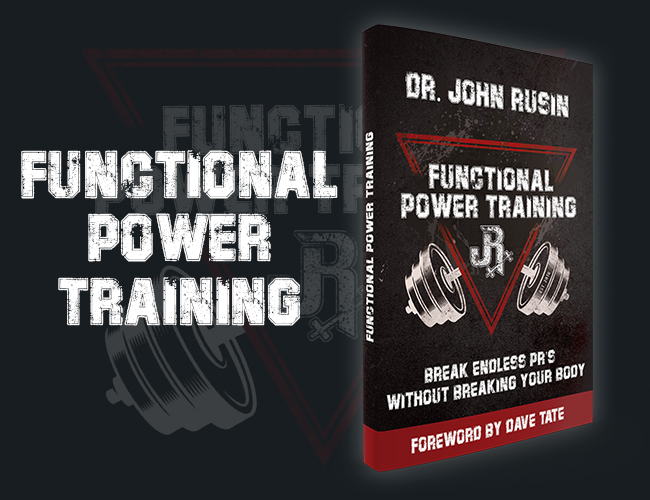 Over the past six months training on Dr. Rusin’s Functional Power Training system, I’ve learned a ton, and it’s really changed the way I not only program for myself, but also the 250+ facilities worldwide that I manage on my Box Programming platform. 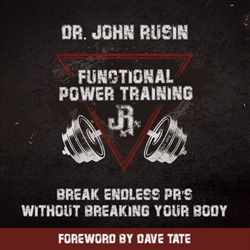 While this list could literally be hundreds of points, all holding huge amounts of value, I’ve broken it down into the 5 biggest take aways from Dr. Rusin’s pain-free strength system that have my athletes smashing PR’s while staying pain and injury free. It’s common to see training sessions made up of 10-12 exercises because to the untrained eye more movements equate to more chance of success. If this is the case for you, my question is are you really able to put in a hard-effort with each and every one of those movements? The answer is probably not. But lets take a deeper look at why. My two lower-body sessions a week (one max effort/one dynamic effort) consist of usually 4, but sometimes 5 exercises. By exercise 4 on any lower-intensive day, I’m usually pretty smoked and really can’t put a legitimate amount of effort into anything else let alone another 6 movements. My two upper-body sessions consist of usually 5 exercises, but sometimes 6. These sessions are still 60 minutes in length despite less overall exercises. By simply using fewer movements, you’ll find that you’re actually able to put more into the movements you’ve chosen. If you’re using the proper amount of ramp-up sets (more on that in the next section) you can still incur similar volume, but the quality of your session will be much higher. Moreover, your sessions will likely be hell of a lot more concise and you’ll leave the gym feeling like you’ve actually done more work than when you had a list of exercises a full page long. Each session should follow a wave type stimulus from beginning to end. By starting out with a 10-minute 6-Phase Dynamic Warm Up Sequence and continuing through a primer or even a secondary strength movement, you can put in full effort while also continuing to heighten your neuromuscular system for optimal performance. As you continue to climb that wave you should hit the peak at the time where your key performance indicator lift is being performed. This lift should be your top priority of the day, and should take everything you have to perform at the top of your abilities. From there 2-3 more assistance lifts or smaller isolation movements will bring you back down the wave before you cool down and start into the recovery process. The wave analogy makes it blatantly clear that a vast majority of people are simply incapable of having more than one priority aka hitting a peak of a wave with an optimal performance mindset. Instead, they just do more things at a lower level of effort and ability and never truly achieve the goal they are after. Simply, and work harder at the things that will make you better. Recently, I started using the 5-4-3-2-1+ rep scheme courtesy of Dr. Rusin’s Functional Power Training with my max effort work. Prior to this, I had been in the routine of building to a heavy triple then to max effort single attempts (typically 3-4 singles.) This simple change, although small, has made a huge difference in terms of how I feel both neurally and muscularly for my max effort attempts. As a result, my max effort attempts have been smoother and more consistent in terms of surpassing old numbers. Earlier last year I had increased the volume of bilateral movements exponentially. Typically max effort and dynamic effort work were followed by repetition work with the same or similar movement pattern. The goal was to increase lean body mass. Like many that question the volume parameters of the Conjugate Method, I too started to think I needed “more volume.” The end result? Losing motivation to train, injuring my shoulder and lower-back and seeing no change in lean body mass. Now, this certainly isn’t the case for everyone, but for the large majority of people, they’ll have a higher likelihood of getting injured with bilateral vs. unilateral movements. The logic is simple: compensatory motor patterns that put undue stress on overworked joints – there is almost always a breakdown at some point in the kinetic chain if you always use the repetition effort method with big multi-joint movements. A better option is keeping your barbell work with the intent of either lifting for speed-strength (fast 2-4 reps) or strength-speed (heavy 1-3 rep) and save the higher rep work for your special exercises that work on your weak links and illicit higher time under tension while eliminating the chance of compensation patterns. Your joints will thank you later. 4) Single Arm Farmer Carry x max 100 ft. trips in 6 minutes. Alternate sides, but favor your weaker side. 5) L-Sit Hold: 5 x 10s on/50s off. At the end of a training week with all exercises and reps taken into account, big traditional barbell lifts should NOT exceed 10% of total training volume. While there’s nothing inherently dangerous about the barbell squat, bench and deadlift, they are the toughest on the joints, connective tissues and neural systems. That means that getting them stronger usually takes LESS barbell specific work, not more. This way, we can stay fresher, recovered and injury free to build authentic strength instead of battling burn out and injuries. If you’re someone that’s sympathetically driven you may overlook how long you’re actually resting between a max effort attempt. I know personally, after 60s I get antsy and “feel” ready to go. Using a clock to ensure I’m resting long enough between big movements allows for better recovery rather than just using my internal clock that often lies to me. The difference is my max effort work is more efficient in terms of quality of movement and being replenished enough to be successful in my attempts. Strength-Speed Work (Max Effort, at and above 90% of 1RM): 120s-180s. Assistance Exercises: 60-90s between sets. Have a plan, and be able to definitively answer the question of why in each type of exercise and scheme if you want to achieve at the highest levels and get the most out of every set and exercise. It’s easy to get greedy when you’re going for a new personal record, but if you’re not smart you can miss the boat in more than a few ways. Instead of going for a “massive PR” go for a “modest PR” that you know you can hit. If the modest PR was easier than expected go for another modest PR with a small jump in weight. More recently, I started making smaller jumps in weight with my max effort work when approaching a new record. The benefits are twofold: you’ll incur more volume and you’ll feel better mentally than I than you would if you had missed a rep.
I’m not saying don’t go to the max, just be smart in terms of how you get there – contrary to what some believe, the 2.5 pound plates are worth using! For example, knowing your current data on your big lifts in critical for future success. With those numbers on hand, the goal should be to hit a 5 pound personal record having a plan in terms of how you’ll there with logical jumps in weight. As the old adage goes, “fail to plan, plan to fail.” Max effort work should be no different and “winging it” may work for a bit, but once you’ve been in the trenches for a decent length of time, you’ll need to be smarter with your approach. What it really comes down to is setting your ego aside and instead, making calculated jumps and loading choices with intelligence. This is one of the hardest skills to master in the weight room, and a practice that needs to continuously be fine tuned and reviewed as simply put, it’s in our competitive DNA to always want to go bigger, heavier or faster. Take a step back and ask yourself, is this set worth it? Is the cost to benefit ratio favorable. If the answer is no, or even if it’s a maybe, move on and live to lift another day pain-free. While this isn’t meant to be an exhaustive list – it’s meant to give you a few extremely important reminders of aspects of training and programming that you may have overlooked or simply forgotten about. And as any great coach or athlete knows, it’s more about doing the simple things extremely well to achieve world class results than doing many things half-assed. This learning process should take place in your own training as well as for your clients will help steer you in the right direction so you can train pain-free for a lifetime, as that’s the ultimate goal for each athlete and client – to train forever and enjoy a life full of physicality. Remember, you do not have to sacrifice your health to get strong or perform optimally. 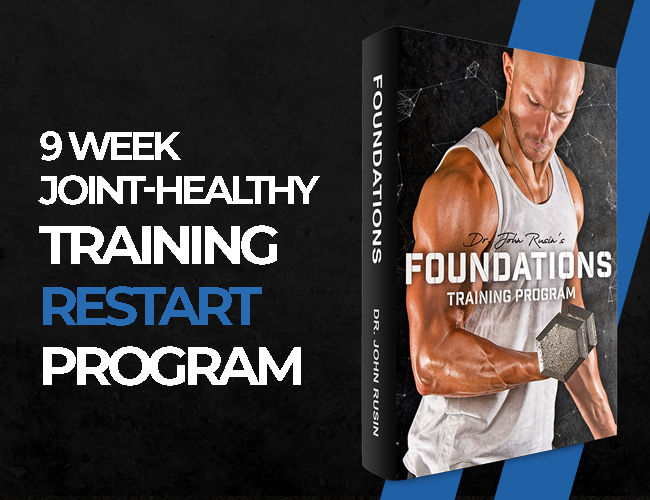 In fact, training for health first will allow you to stay consistent enough and work hard enough to see the results that you are after, and actually sustain them. Use the tools above to fine tune your training and programming, and enjoy unlocking your pain-free performance potential. My name is Jason Brown and I have been fitness professional for nearly 15 years. I have owned my own facility, trained a wide-range of clients ranging from soccer moms, military personnel, law enforcement, CrossFitters, Powerlifters, and professional athletes. My area of specialization is providing a system of concurrent fitness geared toward the general population in a group setting. Currently, I own BoxProgramming.com and write programming for over 250 facilities world-wide. that, do you guys have any advice for exercising, eating healthy, etc? Anything helps! for more on how to get started, stay consistent I recommend https://glutes.4ever4life.com, subscribe to them because it really helps everyday is something new to get started to do workouts at home. Great information, I tried this out and it was killer! I used my Superior Labs supplements before hand to help get me through the workout. The rest time in-between was really helpful to incorporate into my workouts to get the right results that I am looking for.